Trade plate holders are the easy and practical solution to displaying your trade plates. We offer a range of high-quality holders designed to last. We can supply products to anywhere in Australia, with active consultants in New South Wales, Queensland, and Victoria. 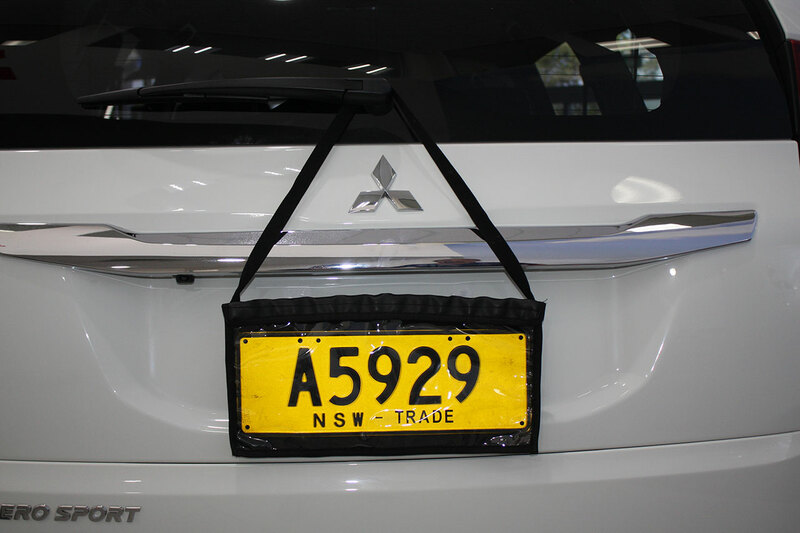 Auto Visuals stock Trade Plate Holders suitable for Queensland, Victoria and New South Wales. Auto Visuals also stock magnetic backings as an alternative to the holder. The holders are made from weather resistant material and are made from heavy duty materials. Our trade plate holders adhere to guidelines set by the Department of Transport Australia. You need to register first as an auto dealer, to register with Auto Visuals, follow this link to go to our registration page. Contact Auto Visuals today, if you would like to book a time with one of our sales consultants. We are happy to help improve your car yard’s visual marketing and maximise your exposure to road traffic. We are the experts in car yard flags and auto dealer marketing products.